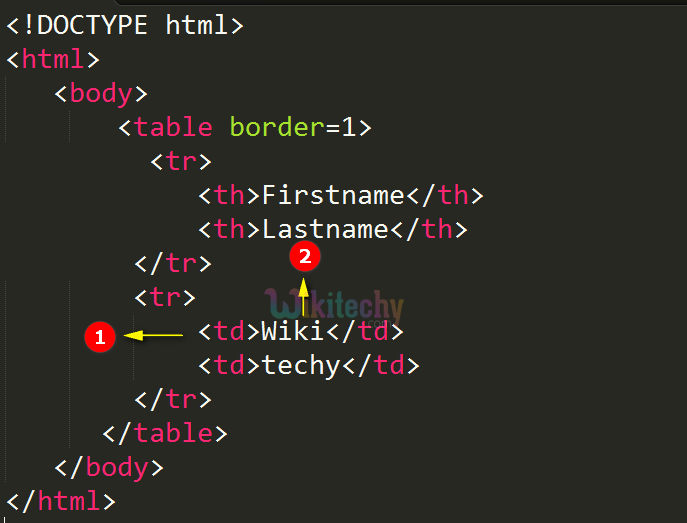 The <td> tag describes a common cell in an HTML table. The <td> tag specifies a cell of a table that holds data. There are the two kinds of cells in the table. Standard cells, which specifies the data using <td< tag. The <td> tag supports Global Attributes and Event Attributes. abbr, align, axis, bgcolor, char, charoff, colspan, headers, height, nowrap, rowspan, scope, valign, width attributes are supported. All layout attributes are removed except colspan, headers, and rowspan. <td> tag - is used for describing the content of the table.. Here we can see the output Wiki are declared as table data. 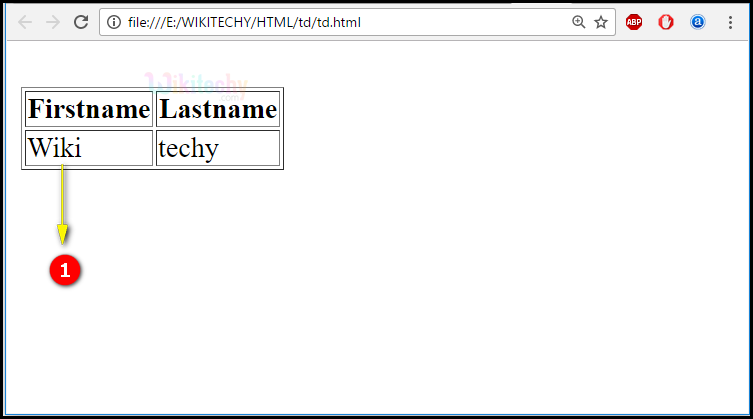 headers header_id Yes Yes A cell is related to one or more header cells. The colspan and rowspan attribute is used to let the content span over different columns or rows.